"What? No banna for uz this year?" 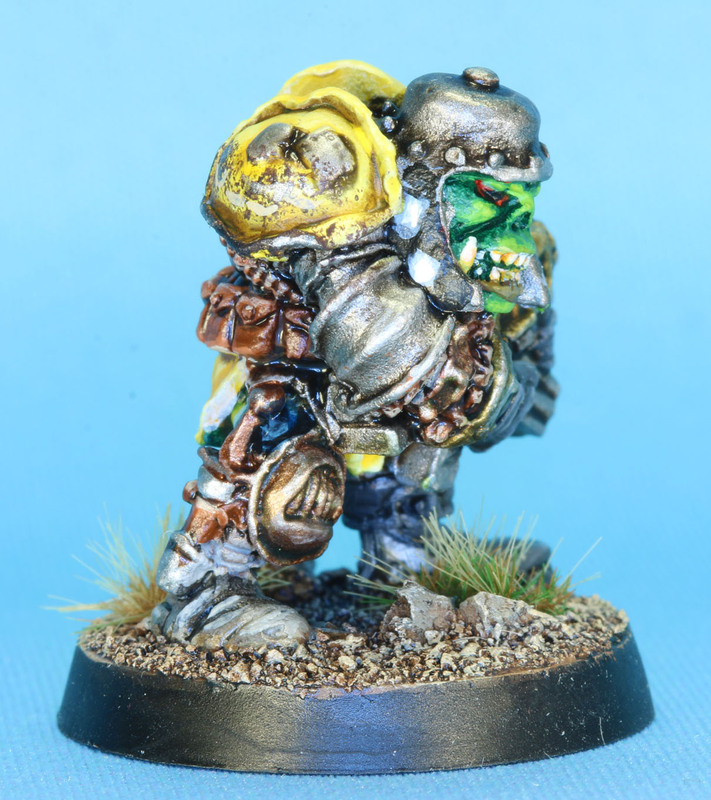 I'm cutting it close, but I got an Orktober entry done this year! 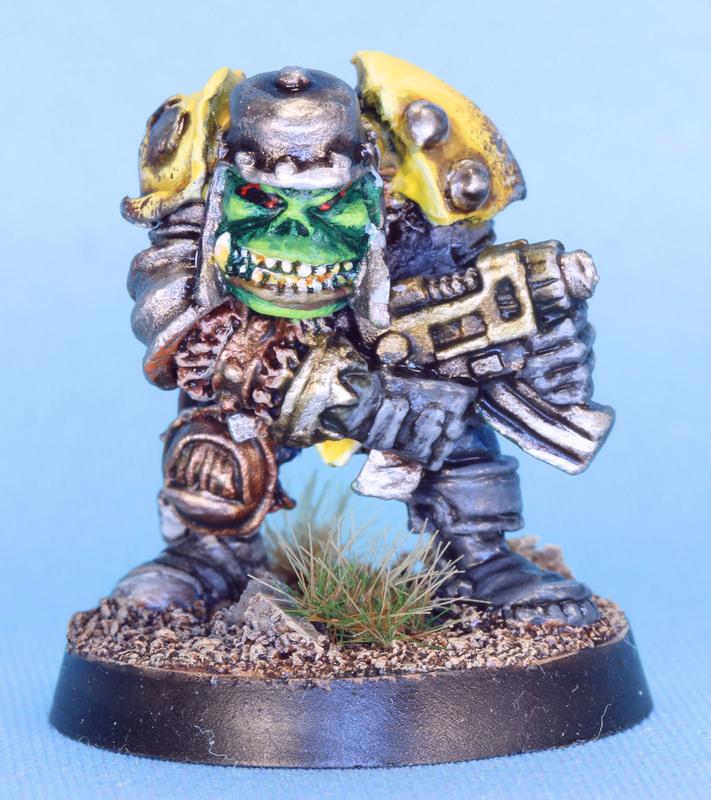 I painted him much the same as last year's Ork, so I won't rehash that here. The only real difference is I added a little bit of chipping to his shoulder pads. Overall, I'm pretty happy with him except for his right eye, I don't know if it was the sculpt or I just messed it up that bad, but it is huge! 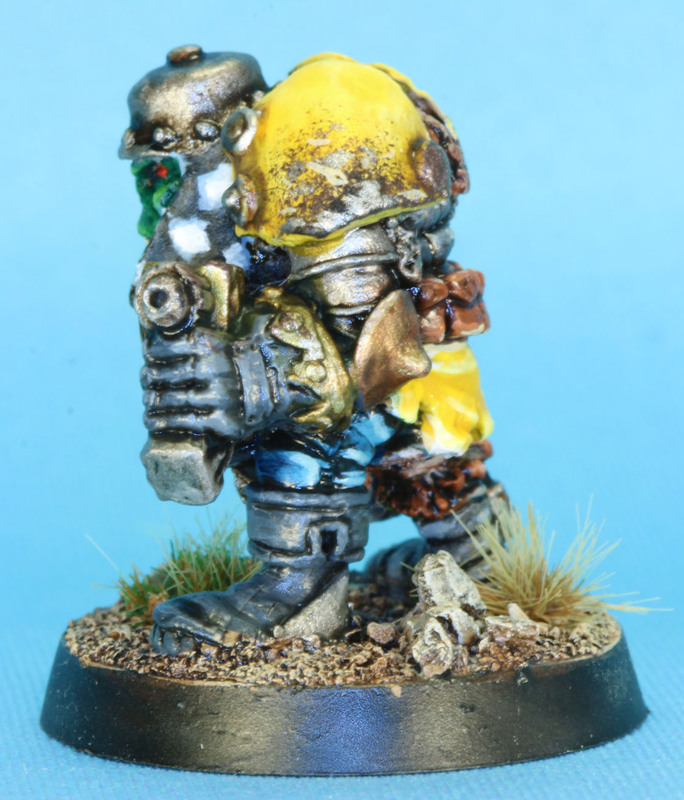 But, in Rogue Trader fashion, I think I'll poke fun at his paint job and name him Wrighty. Enjoy! If he was a chaos Ork, it could be both! He looks good Andrew! 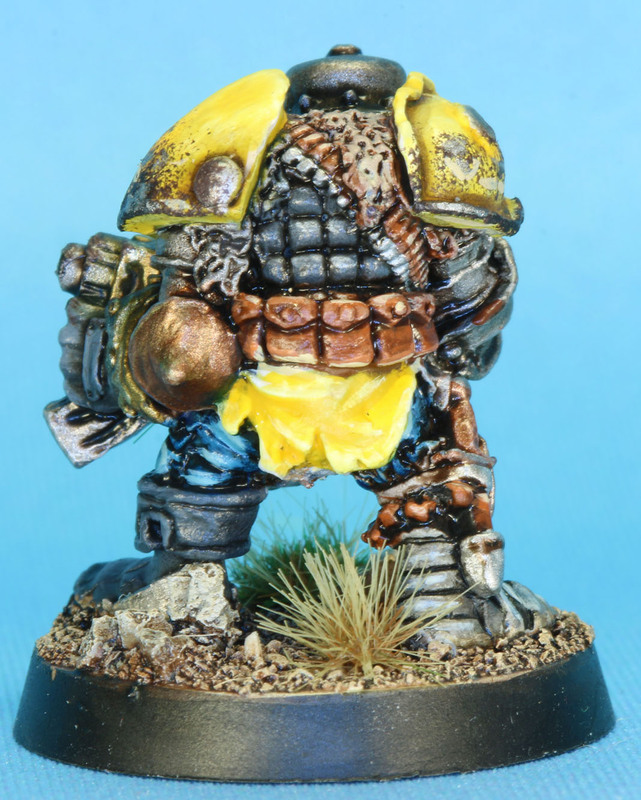 The chipping on his shoulder is great too! Thanks! These old Orks have so much character! I like this greenie! Nice colours, a true classic. Gorgeous - the battle damage on his armour is really exquisite.